Baruchi is responsible for the development and delivery of the company’s AI machine learning-based platform. Baruchi brings to Tomobox over 10 years of experience in developing machine earning and Natural Language Understanding (NLU) based systems of both text and voice. Baruch leads the software engineering efforts of the company. 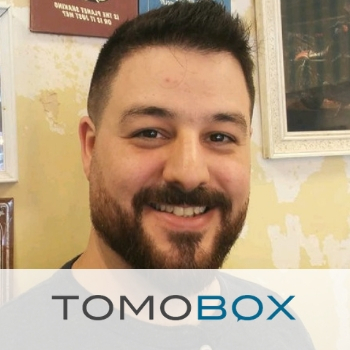 Prior to Tomobox Baruchi was lead programmer for SI Semantic Interfaces where he developed speech recognition systems creating a speech interface which interacts with several ASR’s responses including: Google speech API, Nuance Dragon, IBM Watson, and CMU Sphinx. Prior to that, Baruchi was a researcher at the Afeka Center for Language Processing where he developed and implemented among others language-based feature extraction (LPC, MFCC), acoustic models (HMM, GMM), training methods (EM), decoding algorithms (segmental K-means, EM) and complexity reduction algorithms (VQ, beam search). Baruchi has several publications relating to speech analysis and Natural Language Understanding. Baruchi holds a BSEE from Tel Aviv Afeka College of Engineering and was a teaching assistant at Rutgers during his Graduate work where he also submitted his M.Sc. thesis.